Likening the canvas to a chalkboard, contemporary artist, Michael Schultheis creates paintings consisting of layers of mathematical notations and drawings that describe the form and motion of three-dimensional geometric shapes. 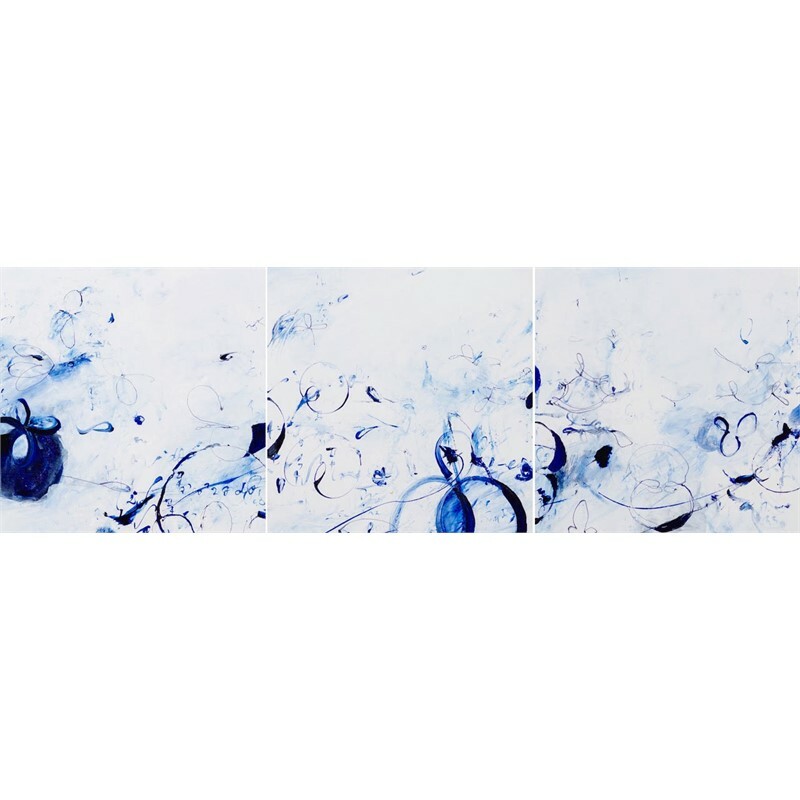 Using this layering process, he explores form, content and the narrative that develops between them on the canvas. 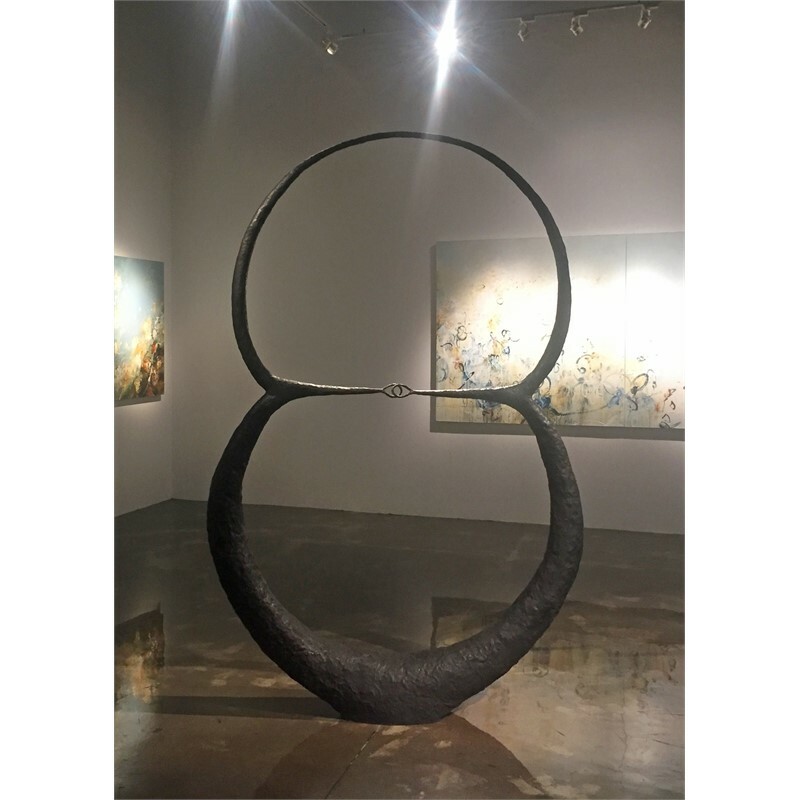 Schultheis is interested in interpreting what happens in the human mind at the intimate and profound moment when analytical ideas render and how we draw them in perpetuity. 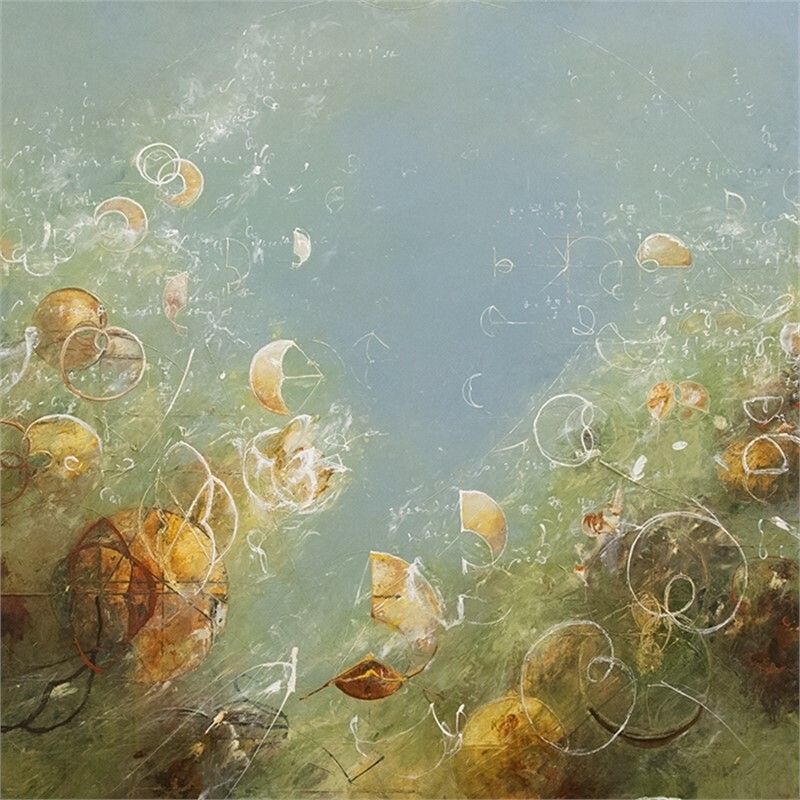 In addition to his representation with several galleries nationwide, Schultheis has exhibited at the National Academies, the Rotunda Gallery at the National Academy of Sciences, Oregon State University, and The United States Embassy, Athens, Greece. 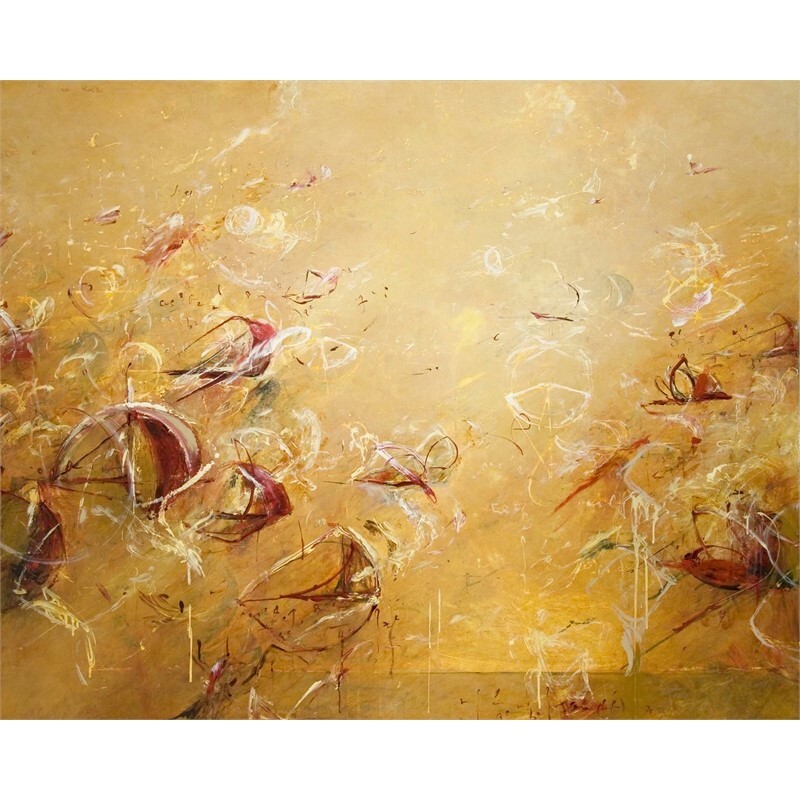 He is included in numerous public and private collections including the National Academy of Sciences, The Mathematical Association of America, City of Seattle, City of Portland, and Tacoma Art Museum. Schultheis currently works and resides in Seattle, Washington. "My paintings are not landscapes - but mindscapes. My ideas come from classical mathematics and the inner chalkboard of my mind where I work out the equations and derive the geometric forms. Through my process I invite the viewer to think about the world in a different way and appreciate the interconnectedness of everything within the experience of life. In these paintings, I explore the geometry of Greek mathematician Archimedes of Syracuse (c 287-212 B.C.) and transpose my ideas into a symbolic and visual language. For example, Archimedes explored the elegant relationship between the volume and surface area of a sphere. The Pantheon in Rome was constructed in the shape of a hemispherical dome on top of a circular cylinder so that the interior sphere that contains the dome rests on the center of the marble floor. This geometry can be seen while standing inside the Pantheon, and in my paintings it pictorially serves as the dioramic space in which I travel into the work. The Oculus at the top of the Pantheon can be seen at the top of these paintings, from which sunlight and the genius of Archimedes stream in." “My paintings are not landscapes - but mindscapes. My ideas come from classical mathematics and the inner chalkboard of my mind where I work out the equations and derive the geometric forms.” -Michael Schultheis Likening the canvas to a chalkboard, contemporary artist, Michael Schultheis creates paintings consisting of layers of mathematical notations and drawings that describe the form and motion of three-dimensional geometric shapes. 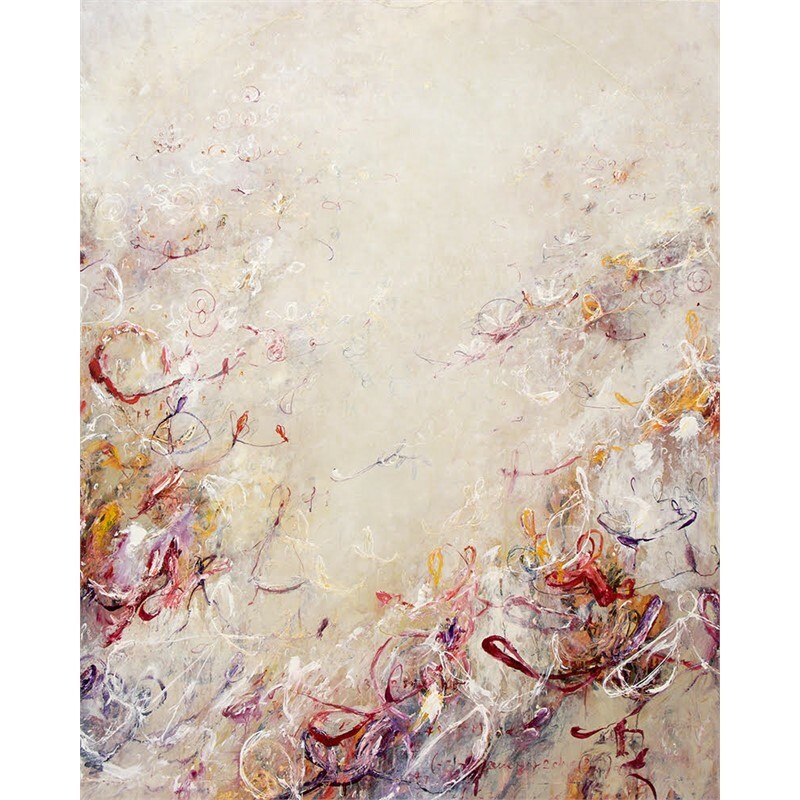 Using this layering process, he explores form, content and the narrative that develops between them on the canvas. Schultheis is interested in interpreting what happens in the human mind at the intimate and profound moment when analytical ideas render and how we draw them in perpetuity. 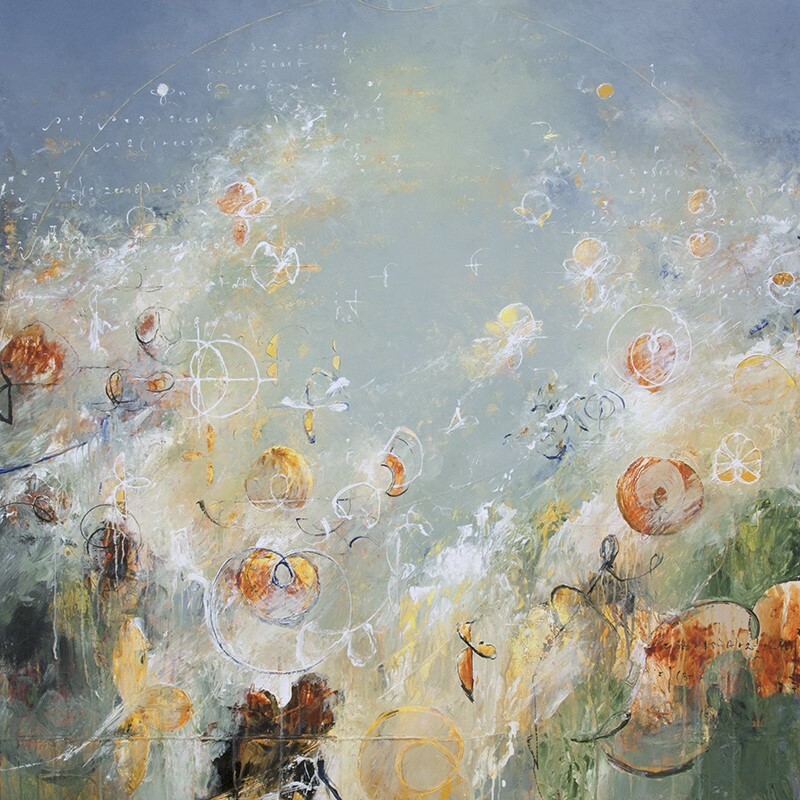 In addition to his representation with several galleries nationwide, Schultheis has exhibited at the National Academies, the Rotunda Gallery at the National Academy of Sciences, Oregon State University, and The United States Embassy, Athens, Greece. 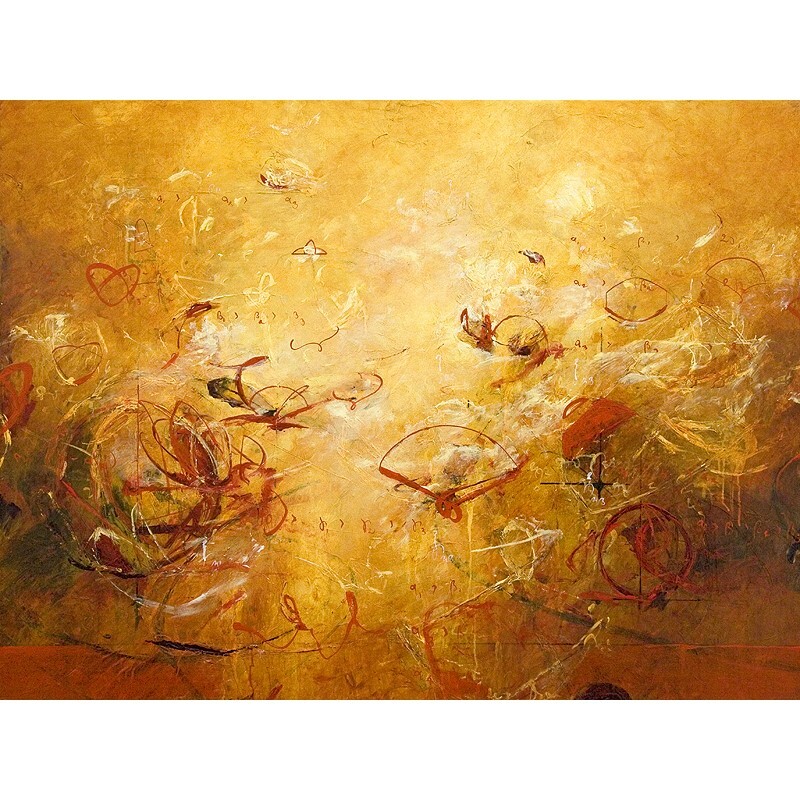 He is included in numerous public and private collections including the National Academy of Sciences, The Mathematical Association of America, City of Seattle, City of Portland, and Tacoma Art Museum. 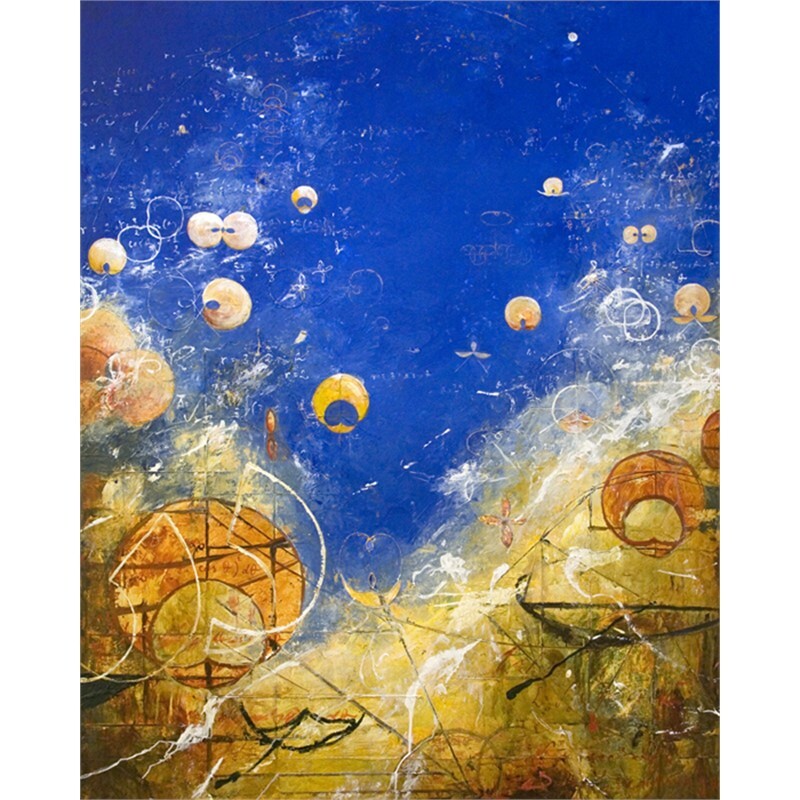 Schultheis currently works and resides in Seattle, Washington. STATEMENT "My paintings are not landscapes - but mindscapes. My ideas come from classical mathematics and the inner chalkboard of my mind where I work out the equations and derive the geometric forms. Through my process I invite the viewer to think about the world in a different way and appreciate the interconnectedness of everything within the experience of life. In these paintings, I explore the geometry of Greek mathematician Archimedes of Syracuse (c 287-212 B.C.) and transpose my ideas into a symbolic and visual language. For example, Archimedes explored the elegant relationship between the volume and surface area of a sphere. The Pantheon in Rome was constructed in the shape of a hemispherical dome on top of a circular cylinder so that the interior sphere that contains the dome rests on the center of the marble floor. This geometry can be seen while standing inside the Pantheon, and in my paintings it pictorially serves as the dioramic space in which I travel into the work. The Oculus at the top of the Pantheon can be seen at the top of these paintings, from which sunlight and the genius of Archimedes stream in."